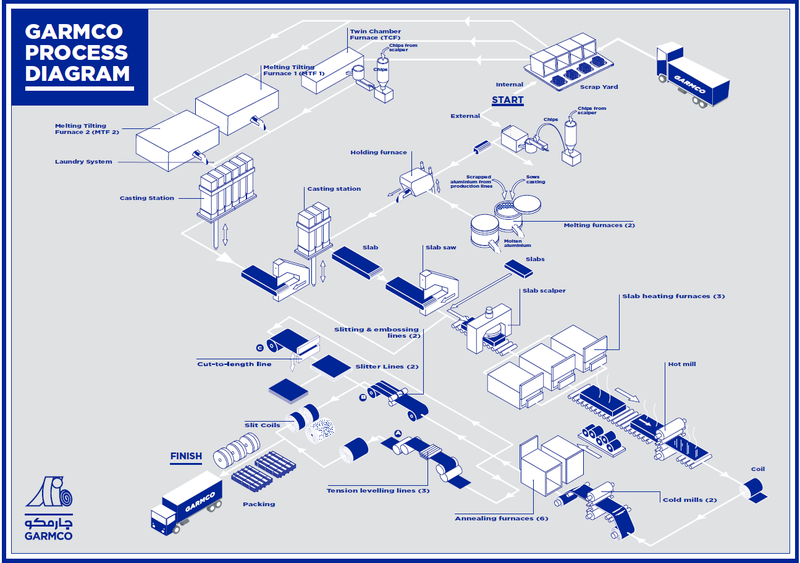 GARMCO’s main mill has an annual production capacity of 165,000 tonnes. The mill produces high-quality commodity flat-rolled aluminium products, comprising coils, sheets and circles, in various gauges, sizes, alloys and tempers. Cold-rolled coil sheet for a wide range of applications is produced in a variety of 1000, 3000, 5000 and 8000 series alloys in gauges from 0.25 to 3.2 millimetres, and up to 1,560 millimetres wide. Aluminium circles are available in a range of alloys and tempers.